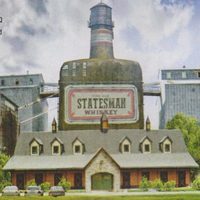 After the success of 'Kingsman: Secret Service', in the sequel Eggsy and Merlin are forced to move to the United States, after their organisation has suffered an attack, in order to work with a secret agency Statesman (hidden under a whiskey distillery) led by a woman named Ginger (Halle Berry) and a cowboy called Jack. Directed by Matthew Vaughn (X-Men: First Class'), with the return of Taron Egerton, Sophie Cookson, Mark Strong, Edward Hoolcroft, moreover incorporating Halle Berry, Julianne Moore (in the role of the villain Poppy replacing Samuel L. Jackson), Pedro Pascal ('Game of Thrones') and Channing Tatum. Produced by 20th Century Fox and Marv Films, 'Kingsman: The Golden Circle' is based on the comics written by Mark Millar and Dave Gibbons. 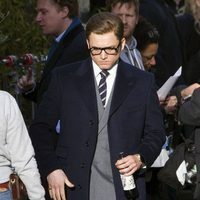 Write your own 'Kingsman: The Golden Circle' review. Matthew Vaughn has said that this will be a very different sequel. It can back Colin Firth's character after his supposed death. There is be a little cameo by British singer Elton John.